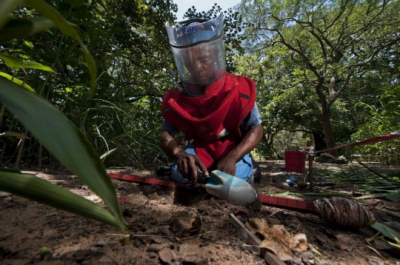 Japan has donated US$2 million in support of the United Nations Mine Action Service (UNMAS) to enable it to conduct humanitarian mine action in the Democratic Republic of Congo (DRC). Aimed at creating safe environments and increasing the protection of communities, this contribution will enable UNMAS to conduct inspections and remove and destroy explosive remnants of war and other explosive devices in five provinces in central DRC: Lomani, Sankuru, Kasai- Oriental, Kasai-Central and Maniema. “This contribution is very important and significant because it will allow the United Nations to continue its vital activities. Thanks to this gift we will hopefully reduce considerably the risks and effects of explosive devices and thus increase safety for close to 16 million inhabitants of these provinces,” said Max Dyck, director of UNMAS’ DRC program. Japan’s contribution represented 40 % of the financial needs of UNMAS’ program in the DRC for this year, and the organisation is continuing discussions with the donor community for additional funds. This generous donation will enable UNMAS to deploy two teams to multitask and cover the five selected provinces of the DRC, where contamination by explosive remnants of war remains high and the capacity of clearance of explosive devices does not exist. These provinces recorded a large number of displaced persons and refugees, further exacerbating the already difficult living conditions. Depending on requirements, the project will undertake awareness activities to complete the inspection and remediation activities. Thanks to earlier contributions from Japan, UNMAS in the DRC has strengthened the capacities of national mine action authority, the Congolese Cordination Centre for Mine Action (MACC). In addition, non-technical and technical inspections must be carried out as required by UNMAS in newly identified suspected hazardous zones. Capacity building authority the National Mine Action is a strategic objective of the United Nations in all its mine action programs and a specific objective of the United Nations Assistance Framework Plan for development assistance in the DRC. “The Japanese people are happy to help DRC get rid of the legacy of armed conflict, save lives and improve the safety and productivity in all provinces of this vast and beautiful country. We strongly support the humanitarian work of demining and we expect the government to continue its efforts to fulfill its obligations and to declare free the DRC and cleared before 2020,” announced the head of mission interim of the Embassy of Japan in the DRC Mr. Shuji Noguchi. The Government of Japan shared the United Nations vision for a world free from the threat of landmines and other explosive devices. “We encourage other donors to join us in supporting this vision and the other UN mine action programs,” concluded Mr. Noguchi. Since 2002, UNMAS in the DRC destroyed 3700 landmines and nearly 300,000 explosive remnants of war. 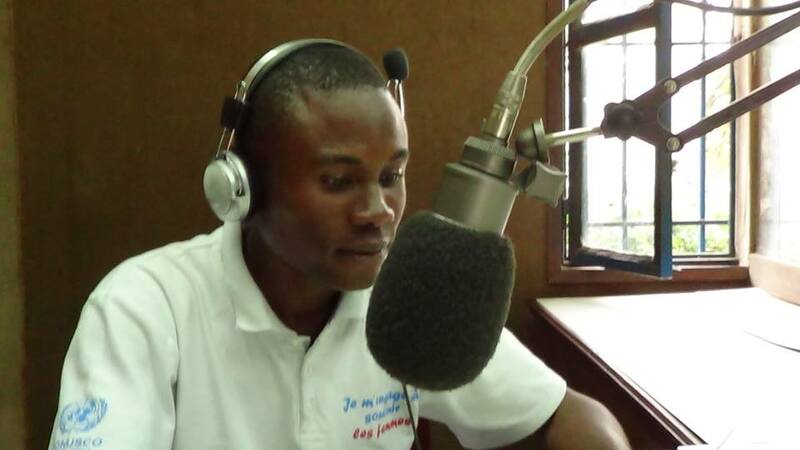 Risk education has also been delivered to more than 3.3 million people living in areas heavily affected by mine contamination and other unexploded devices, utilising SMS and radio to promote awareness. Currently UNMAS supports mine action programs in Abyei (Sudan/South Sudan), Afghanistan, Central African Republic, Colombia, Ivory Coast, Darfur (Sudan), the Democratic Republic of Congo, Iraq, Lebanon, Libya, Mali, in the State of Palestine, Somalia, Syria and the territory of Western Sahara.